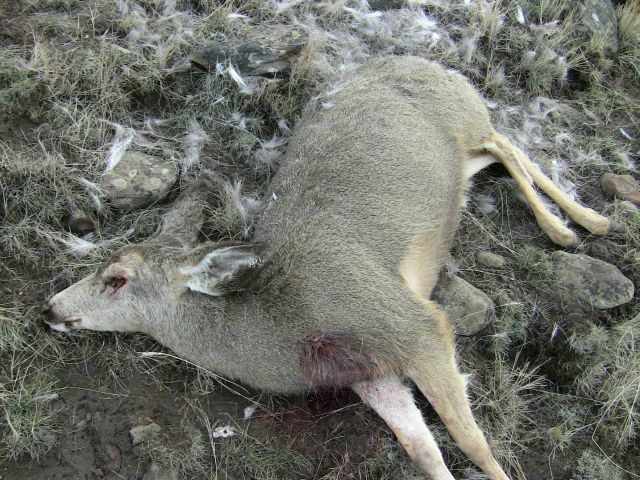 An investigation by an Oregon State Police (OSP) Fish & Wildlife Division trooper, assisted by the OSP Crime Lab forensic analysis, led to the arrest of a Prineville man Tuesday on multiple charges related to the illegal kill and waste of 4 deer six months ago. BROCK’s arrest came following Senior Trooper Madison’s investigation that started January 9, 2010 when a central Oregon rancher in the Rager area about ten miles east of Paulina contacted OSP to report he found two deer that had been shot. Initial response and investigation led to the discovery of a total of four deer illegally killed and left to waste. All were does and at least two were pregnant. Evidence seized from the scene and during the investigation was submitted to the OSP Forensic Services Division Crime Lab. Forensic analysis linked BROCK to the crimes leading to his arrest. This entry was posted on July 22, 2010 at 6:45 pm and is filed under HEADLINES. You can follow any responses to this entry through the RSS 2.0 feed. You can leave a response, or trackback from your own site.